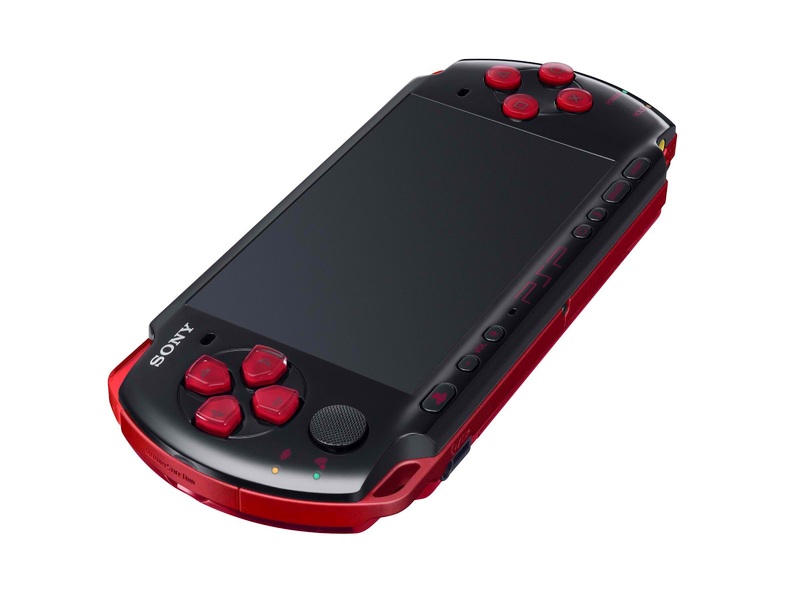 I didn't get the PSP when it first launched. Back when it launched I was a sophomore in high school and didn't have money to buy it and was out of the Christmas and birthday seasons. So I was out of luck when March 2005 rolled around. I just didn't have any means to get the system. I remember X-Play and Attack of the Show (when G4 gave a damn about gaming and not reruns of decades old episodes of COPS) and they were covering everything from the launch. Dissecting the system and the launch title games alongside comparable DS titles. Ridge Racer on PSP vs Ridge Racer DS was an unfair battle on Electric Playground although it was an interesting comparison. Attack of the Show even showed off the WipEout Pure hack that allowed you to get to an internet browser. Fast forward to my birthday of 2007 a perfect storm happened. On that December 20th, 2007 date I received the PSP and (Ready at Dawn's first game) Daxter and then for Christmas I got Final Fantasy Tactics: The War of the Lions alongside WipEout Pure. So my gaming was more than satisfied when I finally picked up the system. 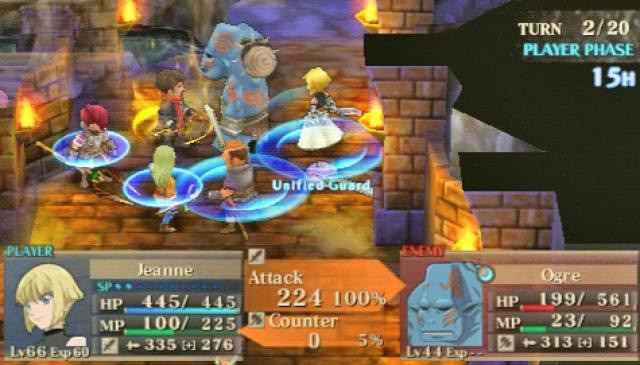 I got through most of Daxter before getting Final Fantasy Tactics and then I was sucked into the world of Final Fantasy Tactics and the story of Ramza. 10. 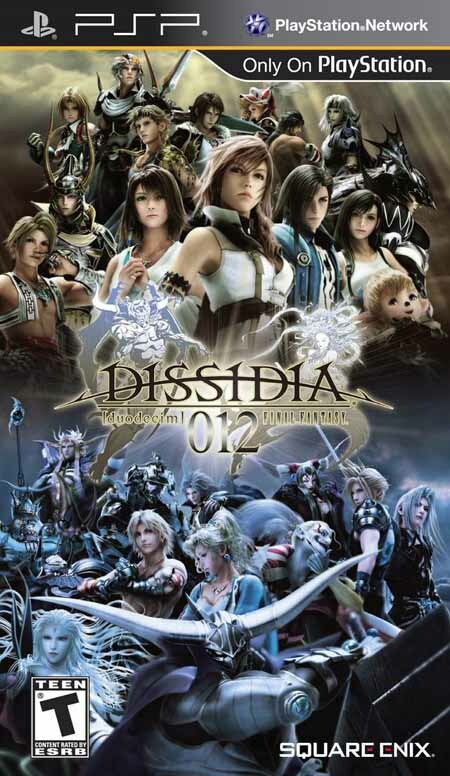 Dissidia 012 [duodecim] Final Fantasy – The sequel to a game that sucked over 250 hours of my life away, so there is no way I couldn't have it in my Top 10. 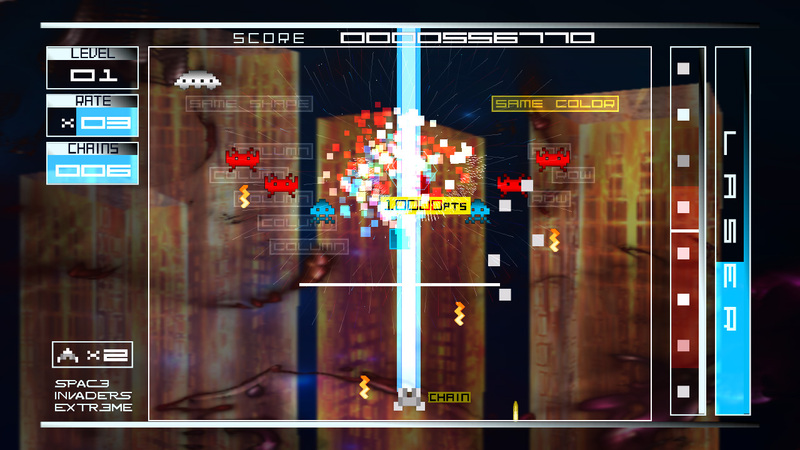 Refined gameplay was the name of the game for Duodecim. Characters that were much more responsive and expanded features like partners that could come in and help in the fight. Just have to be careful because the opponent could have a partner as well. Mix that in with the summon system from the first game and you have a title that is adrenaline filled. 9. 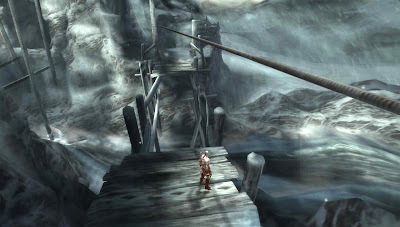 God of War: Chains of Olympus – The very first God of War on the PSP and it did not disappoint. Action packed and mimicking the console games nearly perfectly made this a must buy. There was so much talk about how Kratos was proving to be a one dimensional character. “All he ever does is shout at people.” however in Chains of Olympus you have a game that shows off the tortured soul of the Ghost of Sparta. It was a painful moment when Kratos got to see his daughter again and the choice he knew he had to make. 8. Jeanne D'Arc – Level-5 has become a great developer in my eyes and Jeanne D'Arc is one of the main reasons why. Jeanne appears to be a typical Strategy Role Playing Game on the surface, but when digging deeper in the world of this fantasy take of the Hundred Years' War between Britain and France I found so much more. 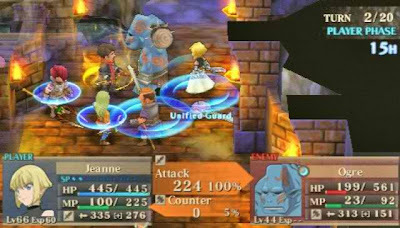 There is a turn-based battle system in place, but it's different than a game like Final Fantasy Tactics. Instead of deciding every character's next action at the same time I had to control one character at a time. I greatly enjoyed the magical armlets that my party members could equip and then transform into a powerful being and then start mopping up those pesky enemies. 7. Star Ocean: The First Departure – By default I'm a huge Star Ocean fan. 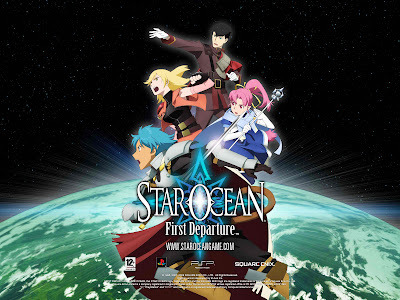 So when Square-Enix said they were going to remake/port the first Star Ocean title over to the PSP I was super excited. In addition to that First Departure is the first time this game was in North American stores. Roddick is a generic character which isn't too surprising since this game technically came out in the mid 1990's. However, First Departure does what Nostalgia on the DS did. Superb execution. 6. 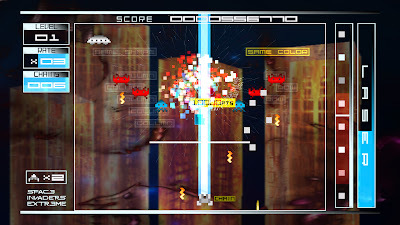 Space Invaders Extreme – Incredibly addictive gameplay. That places this game high up on my list. I spent $2 on this game a couple years ago. Tremendously cheap and I thought it was going to be a terrible game, but I was wrong. It's flashy, it's addictive, it's fun and it's simple. Classic arcade gaming on the original portable PlayStation. 5. 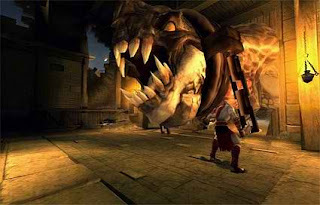 Daxter – Ready at Dawn was already shown off earlier in my list, but this game was there first appearance on Sony's PSP. For being their first title for the system they took a beloved character and made a wonderful action adventure/platformer for the PlayStation Portable. 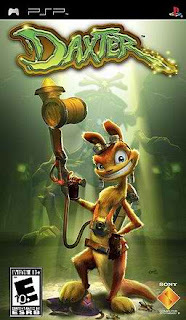 Daxter is still a game that I go back to play. A tremendous game that if you don't get anything else on my list, get Daxter! You will not be disappointed. 4. 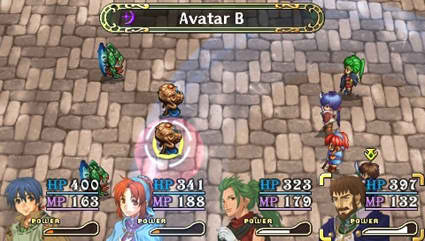 The Legend of Heroes: Tears of Vermillion – Classic RPG action as it was in the 1990's. This game was ported over to the PSP early in the life cycle and it shows. Load times were bad, but that was just a normal thing within the early PSP titles. Loading times were improved as developers figured out the platform later on, but for The Legend of Heroes was a great in all other regards. A fun story with interesting characters and fun level grinding. 3. Crisis Core: Final Fantasy VII – This title made so many things from Final Fantasy VII make sense. I was confused and didn't like the story present in Final Fantasy VII. 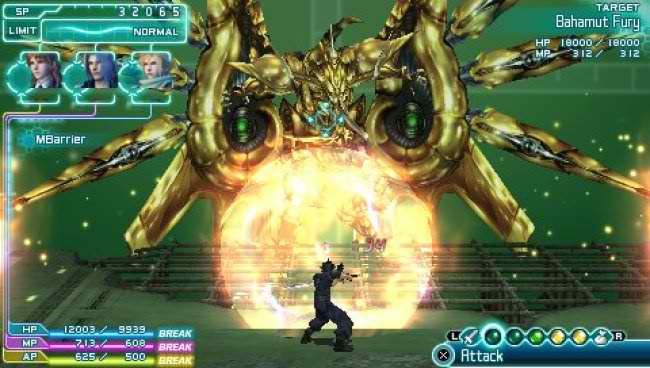 After playing Crisis Core I changed my opinion a little bit, but that just gives more approval from me for Crisis Core than VII proper. Zack Fair was exciting to watch and play as; on top of seeing him show up and coach Cloud Strife. A wonderful experience all the way around. My one and only complaint is the summoning. There technically isn't any summoning here, plus its random. There was no option to decide what to summon and I couldn't choose when to summon anything. 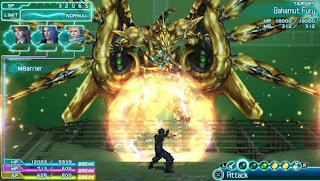 Crisis Core and Dissidia use a similar “summon” system. Basically trading the powerful beasts for stats boosts or healing, etc. 2. God of War: Ghost of Sparta – Yep, another Ready at Dawn game and this one is their best effort yet. You don't really need to have played any other God of War game either to enjoy the story on display. In fact Ghost of Sparta actually does what many thought was impossible to do...Kratos being a deep and involved character. Proving he can be ruthless and slaughter people, but can then turn around to discuss things he doesn't quite understand. I would argue that Ghost of Sparta has the greatest balance in combat than any other God of War title released. 1. 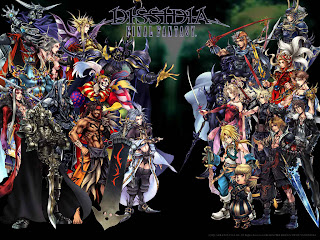 Dissidia: Final Fantasy – At least 250 hours of my life absorbed, main characters and villains from the main Final Fantasy 1 through 10 titles and an evolving story that contains everyone. 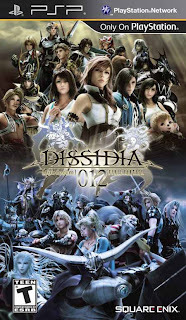 Dissidia is a fantastic fighting/RPG for the PSP. If you have ever, at any given time in your life found a Final Fantasy title interesting or enjoyable, Dissidia is a tremendous fan service. The sequel improves so many aspects of the original game that it's hard to put down either. This installment hits number one for the fact that it started the whole thing. The first fighting game crossover of these deep characters inside an amazing fighting mechanic that does more than just tack on RPG elements. So there you are. My Top 10 for PSP. A wonderful system that just never was able to make a mainstream impact. Having to live in the shadow of PlayStation 2 can't be easy and the success of PlayStation forced the PSP to struggle for an identity. At different points in its life it tried to be its own system. Make its own rules and have people throw money at it. At others it was just trying to survive and others it was trying to turn what worked on PlayStation 2 into a successful venture on PSP. It has been a fantastic ride PSP. You will no doubt fight on just like your predecessors did, but you no longer have to be on the front lines. PlayStation Vita is here to allow you retire as a great system. I will enjoy picking up more of your games through the PlayStation Store (already looking forward to trying out PSP games on the Vita's beautiful OLED screen). Anyway, it was wonderful. Hopefully your successor remembers to be as diligent to bring RPGs to the forefront as you were. Nice list. Glad to know I wasn't the only one who was excited to FINALLY be able to play the first Star Ocean game. It did not disappoint. Which of the Star Ocean games is your favorite? Well, the only ones I played for a significant amount of time were the first two games. Out of those, I still prefer Star Ocean 2, which I have very fond memories of. I tried SO3 back in the day, but I had a hard time adapting to the PS2 transition for some reason. Is it worth taking another look at? I would actually say that I enjoyed Star Ocean: Til the End of Time the most. Spent over 300 hours in the game trying to get and do everything. I can see why people had some difficulty with Til the End of Time, but I would recommend taking another look at it. I'm glad it finally came over to North America, because I loved it.